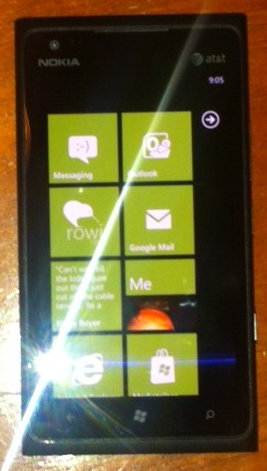 Shayne Boyer: My Nokia Lumia 900 Has Arrived - It Killed My iPhone! The newest Windows Phone 7 device has arrived and I have to say I can't put it down! No seriously I can't! First, because ever since I told my 4 yr old that "...on Daddy's new phone you can play XBOX Live" (he almost exploded) he has been as anxious as I have to get it in. Secondly,it just plain beautiful. The OS, weight, size and speed of it all, what a home run. Now, let me first say that I'm not going to post step by step pictures of the unboxing as there have been and will be more shots of this gem online and although a few more pictures won't degrade the quality of what I hold in my hand, I don't think you need to see what my coffee table or desk looks like. 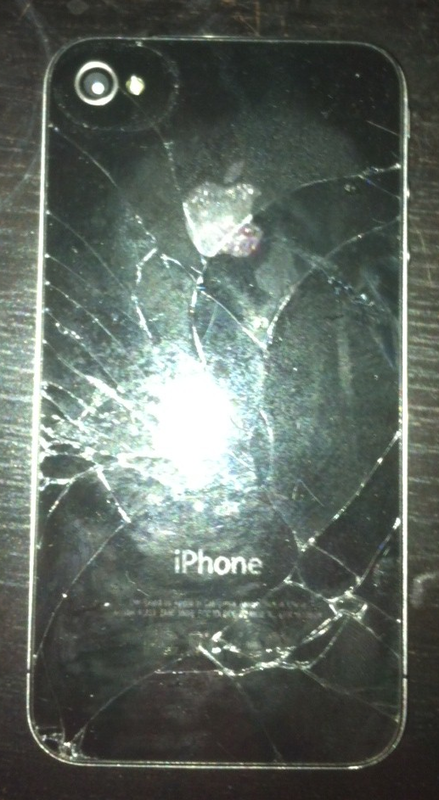 iPhone 4 - Lost the battle! I have been an avid user of the iPhone since the release of the 3GS and then moved to the 4. Before that I have owned an Android G1, Windows Motorola Blackjack and of course a Blackberry. I feel that I have experienced about every mobile OS up until this point and have developed applications, or at least learned the tools to do so. I had occasionally stopped by a mobile store and futz around with a Windows 7 Phone here and there and thought it was different for sure but it was newly releases and the hardware and some of the software features were lacking in comparison to the iPhone 4 that I had in my pocket. Then of course there is the lack of app conversations...but that is another topic (I have all I need to be productive). When the 900 was shown and I spent more and more time developing in the tool set for Windows Phone, I was hooked for sure. Now that I have it in my hand, WOW. The boot time is unreal! I had to reboot my iPhone4 and the Lumia 900 to try and activate and I could have rebooted the Nokia 5x before the iPhone started. So, the first order of business was to get this puppy dialed in. Rowi - best Twitter client for WP7. Pay the $.99 the developer deserves it! * 4th & Mayor - Foursquare should just hire Jeff Wilcox to redo their app or pay him to re-brand his. My Rubber Duck - cause I gave him a shout out in my last entry and it's just funny.